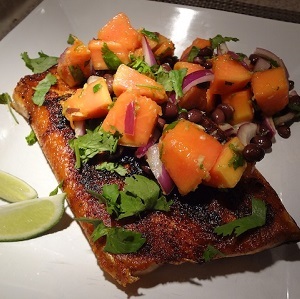 This is a delicious and simple variation to serve salmon. You will certainly impress your family and friends. 1/2 small red onion, thinly sliced. Soak the onions in salt water for 10 minutes. Drain and let dry then add to mixture. Remove from stove and transfer to the oven, then bake 10-15 minutes or until cooked, careful not to over cook.